Stop talking – just do it! 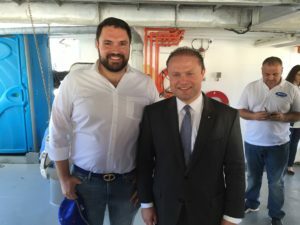 Malta – “The people shout for help. They desperately try to attract attention. Most of them are completely exhausted,” says Regina Catrambone. Only last year, she and her husband Christopher saved the lives of 3000 people on the high seas with their refugee rescue ship “Phoenix”. During one of the rescue operations, a completely exhausted Eritrean woman held her unconscious child to her body. “He’s still breathing. He’s still breathing. He’s not dead. Please help me,” said the desperate mother. Regina Catrambone and her team were able to save the little boy’s life. During a boat tour in the Mediterranean Sea in 2013, the cofounder of MOAS felt that she urgently needed to so something against the mass mortality in the Mediterranean Sea. Regina and Christopher Catrambone founded MOAS (Migrant Offshore Aid Station), the rescue mission for refugees in the Mediterranean Sea. 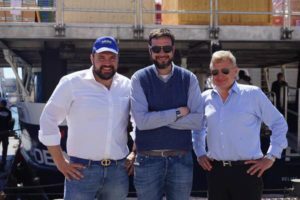 They invested almost two million euros in the ship and the necessary equipment: Renovation and upgrading, dinghies, life wests and besides the important technology for the rescue mission also two drones to find people floating in the sea. The couple wants to continue saving lives at open sea. This is why the Catrambones are grateful for any donation. 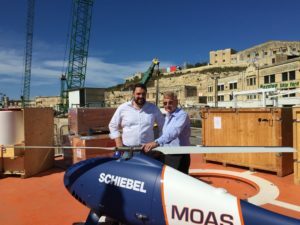 “Just in the last six months we have collected half a million euros for the rescue mission,” says Florian-Benjamin Fritsch, paramedic and MOAS fundraiser. “The dramas will go on lasting as long as a solution is finally found,” says Regina. Until then, she and her MOAS-team will continue saving lives in the Mediterranean Sea.